Just 15 minutes now can save you up to 30 minutes in the office. Simply follow the steps below. Schedule an appointment by calling 434-293-9800. Appointments are scheduled 9:00am-3:40pm, Monday-Friday. You may review your appointment within the Patient Portal. Cancelling an appointment 24 hours prior to appointment, or missing an appointment incur a $45 fee for annual exams and established problems and a $65 fee for new patients and procedures. Bring your specialist copay to your appointment. 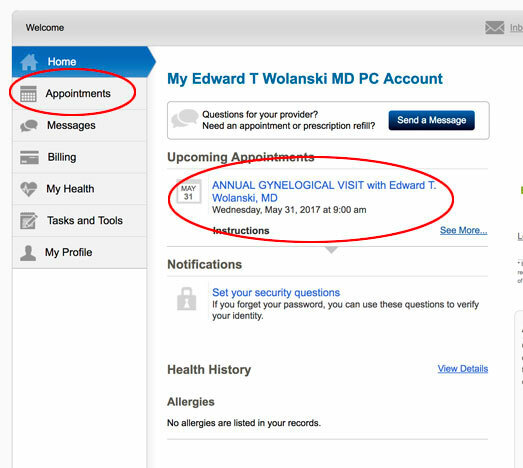 Make sure all your data is correct in your Patient Portal. If you are unable to complete the information in the Patient Portal ahead of your appointment, please arrive 20 minutes early to complete the paperwork in the office as to not delay your visit. 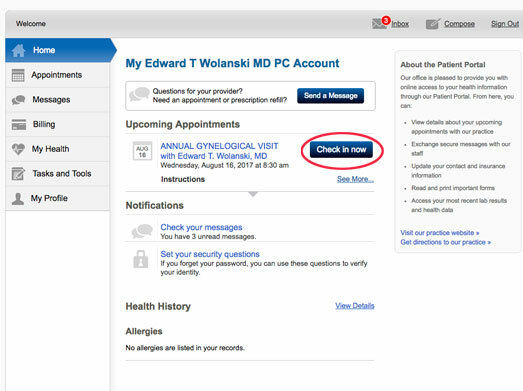 Seven days prior to your appointment, you can login to the Patient Portal and begin your check-in process by selecting "Check In Now". You must complete the entire check-in process in one session, you may not return to the portal to complete it once you have begun. If you cannot complete the check-in prior to your appointment, please arrive 20 minutes early to your appointment to complete the paperwork in the office and not delay your visit. 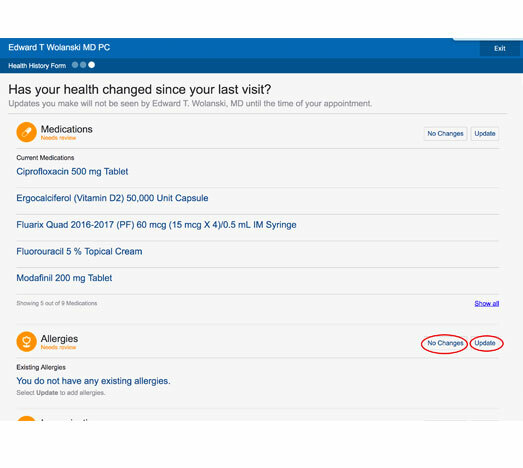 Your Health History is part of your check-in process in the Patient Portal. Be sure to complete your Health History portion before your appointment. If your employer requires FMLA forms, please complete the Request of Information Form (PDF) prior to your appointment and bring these forms with you. All surgeries are performed at Sentara Martha Jefferson Hospital. Go to the main entrance next to the Cancer Center. Check in with the Information Desk for directions to Surgery Registration. Contact Kim prior to surgery at 434-293-9800 if you have any questions or concerns.